Fan Letter #2 – Unlike the first show, we do get to a second letter this time, from Way, who wants to know if the members have anywhere they want to go and anything they’d want to do there. 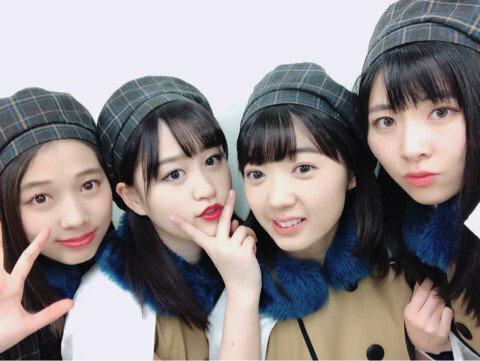 As Ogata thinks, Kisora notes that Way has written at the bottom that they would like Tsubaki Factory to perform in Okinawa sometime, which both girls readily agree with. 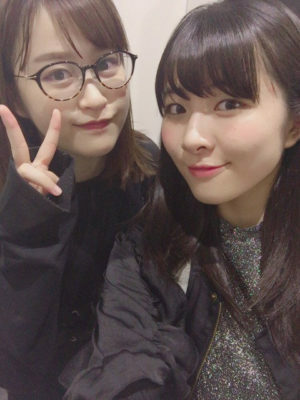 Ogata says that although they do go to Hokkaido, Japan’s northernmost prefecture, for release events and such, they haven’t been to the southernmost of Okinawa, so she and all of the other members often talk about how they’d like to go there. Kisora also notes that even when it comes to Kyuushuu, the second-most southern area in Japan–which is much closer than Okinawa–they haven’t been to too many places in that region. With any luck, they will get a solo tour soon, and they will be able to go. Ogata hopes that when they do go, they’ll be able to stay the night, and spend some of their time doing events, but the rest of the time at the beach. Maybe this summer. Maybe. Teion Yakedo? More like Kouon Yakedo, am I right? Fan Letter #3 – In a shocking twist of events, we are onto the third letter, from Masayume. They want to know if the members are morning people. If they are, can they give some advice about waking up early, and if they’re not, can they tell us about a time when they overslept to a disastrous extent? Ogata says that oversleeping is a very regular thing with her, and she can’t handle mornings. She has no advice, but you have her sympathy. Kisora doesn’t oversleep much, but she does hate waking up. 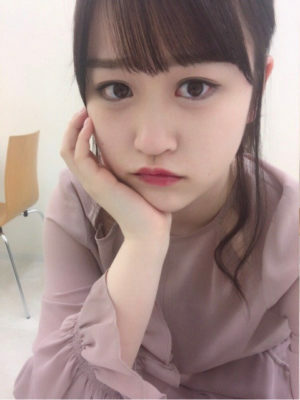 That said, when she has work to do and places to be, she makes sure to get up at least two hours beforehand, which strikes awe into the heart of the sleepy Ogata. 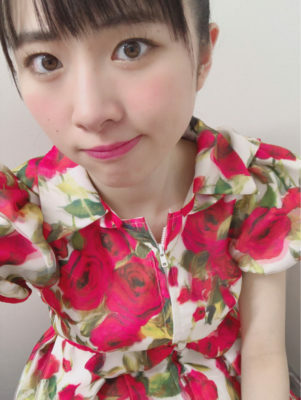 Kisora doesn’t know if she’s really good enough at getting up to be giving advice, but she suggests preparing for your morning the night before, so that there’s less to do in the morning that could cause you to be late. Ogata sees the error of her ways, as she does almost nothing before she goes to bed and now feels like she’s been wasting time. Even though they have tripled their output of letter-reading from one show to the next, they apologize for being unable to read all the letters they received on the air. They assure us, however, that they do see all of them and are reading them. Following another play of Teion Yakedo, they sign off for the night, after asking everyone to continue to send in their letters and a casual reminder that their new single goes on sale very shortly. This has been a much more productive episode, for as much as I like to hear Riko make puns, this definitely felt longer despite also being only about 5 minutes worth of actual content. They’re improving already!